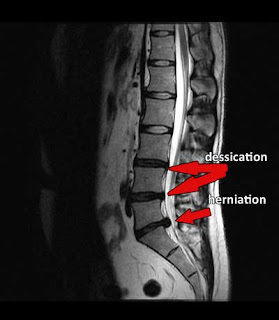 Herniated Disc? Ruptured Disc? 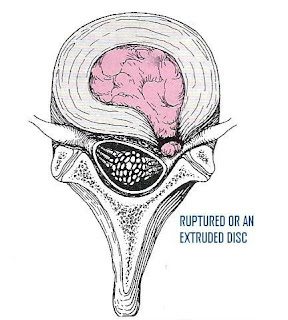 Prolapsed Disc? What is the Difference? The modern medical community has a lot of specialized vocabulary to describe what essentially boils down to back, leg or neck pain. And that’s fine.....except when it confuses and complicates things for a patient. Frankly, I think it happens a lot. A herniated disc, a prolapsed disc, a ruptured disc, they all sound pretty scary, but guess what? There is virtually no agreement in the medical community as to whether there is any real difference between the terms - their definitions are disputed all the time. But what does the definition really matter? Isn’t it more important that we know there is pain? Isn’t that we know the cause of pain more important? In my opinion, it is absolutely more important. The fact is, different doctors will interpret MRIs and x-rays differently. A single film might lead to multiple diagnoses. The focus should be on getting the right kind of treatment for pain and helping restore function and ability, not splitting hairs with definitions. That’s why at Living Well Medical in NYC, we put the spotlight on your well-being. The fact is, for back injuries and pain that are disc-related, doctors and surgeons will often prescribe surgery when it isn’t necessary. Likely not even recommended. It’s the last line of defense, not the first. That’s how I see it. Living Well Medical takes the non-surgical route, using technology like spinal decompression and the DRX9000 to help stop the pain of herniated discs. Therapies like the Graston Technique, Physical Rehabilitation, and Low Level Laser Treatment can restore range of motion and improve muscle support. For everyone we see, we let their particular circumstances dictate treatment and we create a custom treatment program. If you have a herniated disc and are suffering, come in and see us. We’re here to help. Call at 212-645-8151 for our office in SoHo, NYC and make your appointment for a free consultation..
For a San Francisco Chiropractor, contact Dr. Eben Davis here. Yeah...it can be very confusing. This is one reason I love spinal disc decompression so much...I don't have to worry so much about the name of the problem. Sure, decompression is specific and we target a certain spinal disc level...but the name we give the problem does not matter. What matters is results. Does the treatment help to restore lost function and reduce pain levels? That's what matters.